AMHERST, Mass. – Geoscientist Haiying Gao, a seismologist at the University of Massachusetts Amherst, recently received a five-year, $525,800 faculty early career development (CAREER) grant from the National Science Foundation (NSF) to model and compare five subduction zones across the globe where large earthquakes have occurred, for the first time characterizing their fundamental differences and similarities. Gao is an expert in studying the tectonic activities in these zones, areas where two plates in the earth’s crust meet and the oceanic plate slides underneath the continental plate. Subduction zones play a major role in driving plate tectonics and are “host” to great earthquakes, volcanic eruptions, tsunamis and landslides, she notes. A recent study showed that most subduction zones can generate earthquakes of magnitude 8.5 or higher. Gao says, “We know that plate tectonic activity takes place all over the world, but earthquakes and volcanoes are not distributed evenly. I want to understand what controls the variation we observe in large earthquakes at these points in a more global way, to try to identify some wider fundamentals taking place in the subduction systems, which are related to deeper processes in the earth. I want to know more about what contributes to the variation we see,” she adds. She will use the Massachusetts Green High Performance Computing Center’s capability of handling such huge sets of sensor data as input to her advanced methods of seismic imaging. She will compare characteristics of subduction zones in Alaska, New Zealand, South America, Central America, and the Caribbean, and model earthquake propagation. 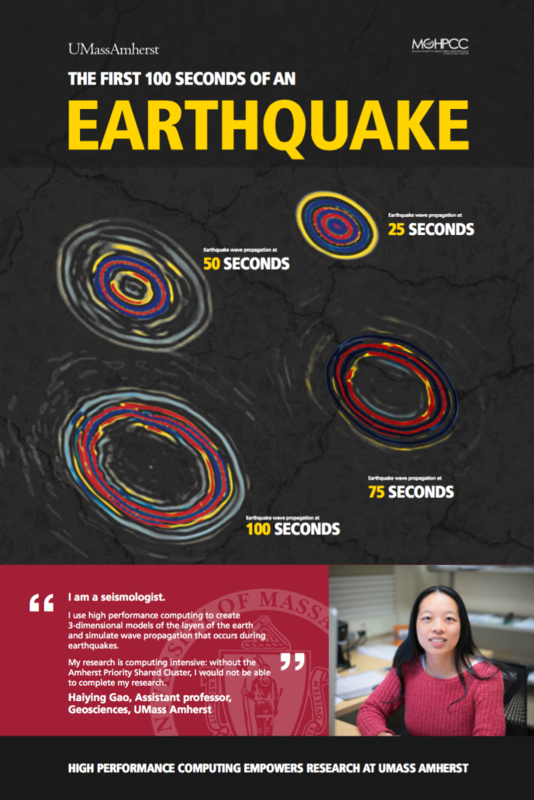 Seismologist Haiyung Gao uses UMass Amherst high-performance computing resources housed at MGHPCC in her work simulating wave propagation during earthquakes. Gao says her improved models could someday be useful in predicting how much ground motion or displacement will occur with a massive earthquake. 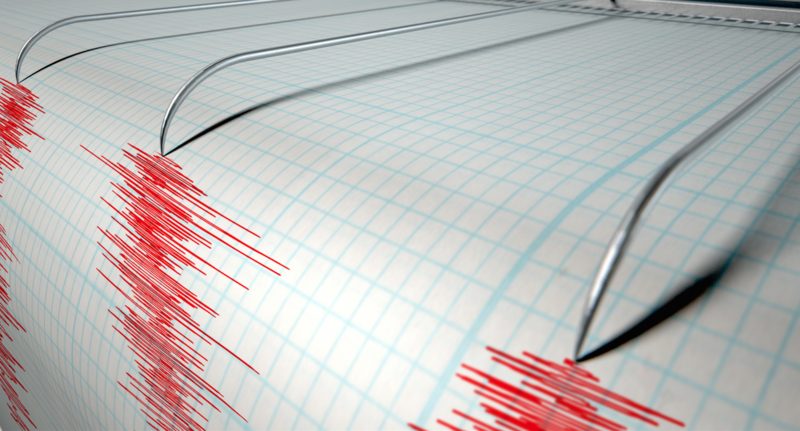 This research will be complemented by education and outreach that will include Gao developing a summer seismology workshop for Five College undergraduates. She also plans to introduce earth science to middle and high school-age girls through the Holyoke-based Girls Inc. Eureka! Program, and she will reach out to the general public using a Transportable Array seismic station, once part of a network of 400 high-quality broadband seismographs and atmospheric sensors operated at temporary sites across the continent.